We’re hopefully getting a dog, a beautiful Labrador, who despite being starved and mistreated by her previous owner and rescued by the SPCA, has eyes brimming with foregiveness and who I’m sure will give us as much love as we give her. This black lab was recently confiscated from a house, and had an owner who didn’t feed her nor give her attention. She is still quite thin, but has apparently put on some weight since arriving at the SPCA. She has had a litter (her pups were also taken from the house), but will be sterilised. We visited her at SPCA Brakpan today (thanks to info from Sharon, from the labrador rescue organisation), and I don’t think I need to get into details of how many dogs are in cages awaiting new families to take them home and give them another shot in life. What’s heartening is that the SPCA is not the dirty, smelly, concrete-filled place I imagined. There is greenery, it’s spotless, and the women who helped were friendly, pretty and humorous. 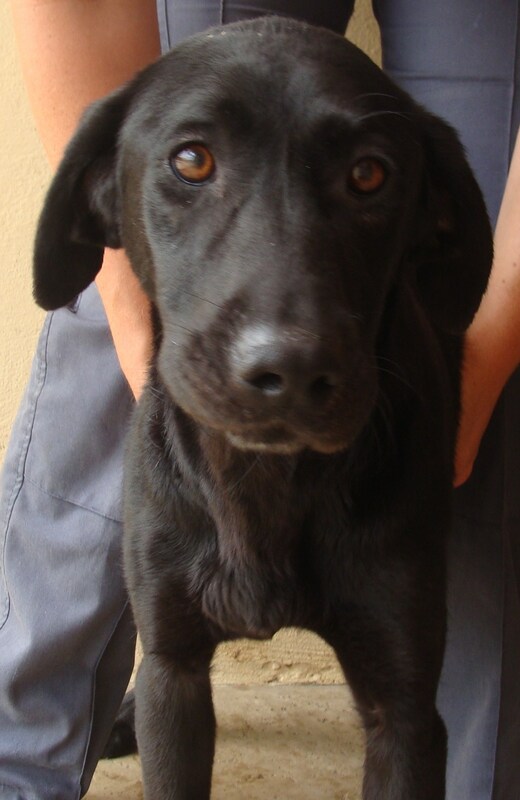 We’re signed up, and pending an house investigation, should be able to adopt this gorgeous dog. Max, I’m so excited, and a little nervous. Nervous about taking care of a dog by myself and getting her trained, but excited to have another four paws and wet nose in our family. What I know for sure is that our love will make up for her hurts, and that she’ll heal us along the way too. Rescue dogs are the best!!!!!! Holding thumbs all goes well with adoption! She is lovely! Such beautiful, soulful, trusting eyes. A friend of mine runs a rescue organization as well and I agree with the motto: why breed or buy when rescue pets die? Thanks Shaz. I so agree – so many need homes! She is gorgeous!! I cannot wait for us to move into a house where we can adopt lovely doggies like her!! She is really beautiful! I hope she finds her way into your home like she has your heart! Can’t wait to see the updates! She is a beaut. Look at those gorgeous eyes. I hope that you & Max will heal her and that she will give you all the love I see in that awesome face. Our jack russel is a rescue dog and she’s amazing! Oh you will never never regret getting a lab! Ours are the best dogs ever – I am actually planning to do a post about choosing a family dog and breeds and guess which one comes out tops in my books? The alb rescue club does such good work – we once homed one for them until they found new parents for her.